Ultra High Efficiency Solar Simulators - UHE-NL and NS Series, Products - Photonic Solutions, Edinburgh, UK. 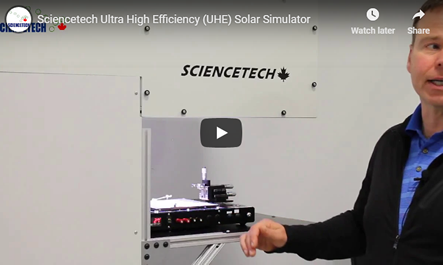 The UHE-NS and UHE-NL solar simulators are turn key operation class AAA solar simulators designed for either downward facing or horizontal beam operation. In downward facing beam orientation the UHE-NS and UHE-NL produce uniform light slightly above standard desk height. This configuration allows for either operation of the simulator from either a standing or seated position. 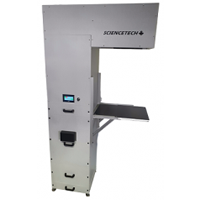 This product is manufactured by Sciencetech Inc.